My 9cm square boxes are a perfect size for narrowboats where space is limited. Each box is sanded, given two coats of undercoat and two top coats before being decorated and finished with varnish. I also have rounded rectangular boxes decorated in the same way. 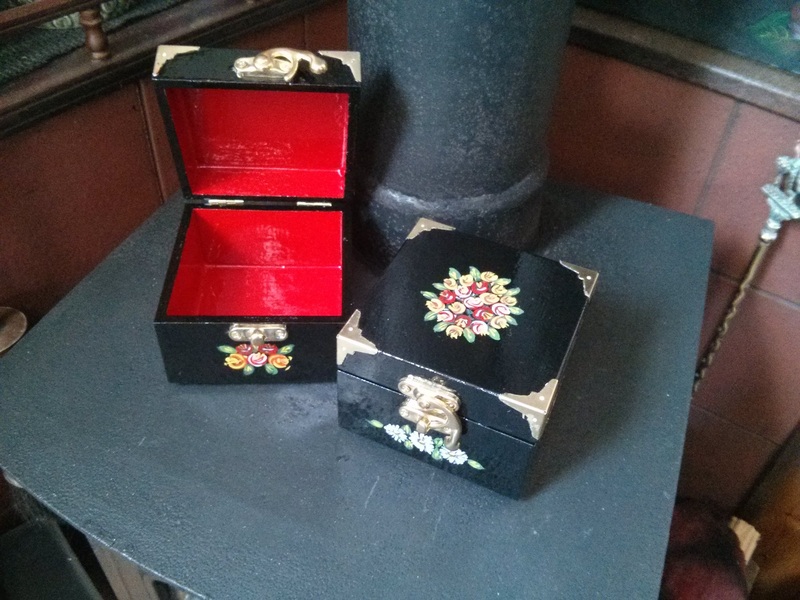 My favourite boxes are painted bright red inside, black outside and painted with roses. 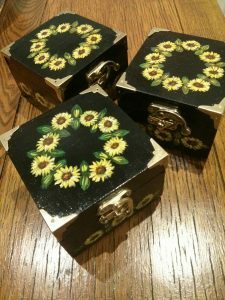 Though I have also decorated them with sunflowers and daisies. If you have a particular flower you would like to see on a box please do contact me, I am always happy to try new designs! 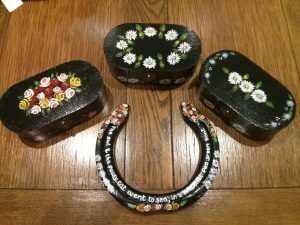 The boxes are ideal for storing jewellery, keys, spare change or small keepsakes found along the way. Also a prefect momento of a canal holiday or just a lovely thing to give as a gift. All small boxes are £10 plus £3 postage or free collection by arrangement. I combine postage if you are buying multiple pieces. To order simply contact me via email, Facebook, Instagram or Twitter. Usually I respond within a couple of hours. For payment I accept PayPal or I can message you my bank details if you prefer to pay by BACS. I try and list postage/packing on my pages, and am of course happy to combine postage.